Always, you should look for the type of gerbilarium whose top is easy to open. It facilitates your interaction with the pet and allows you to know your pet better. 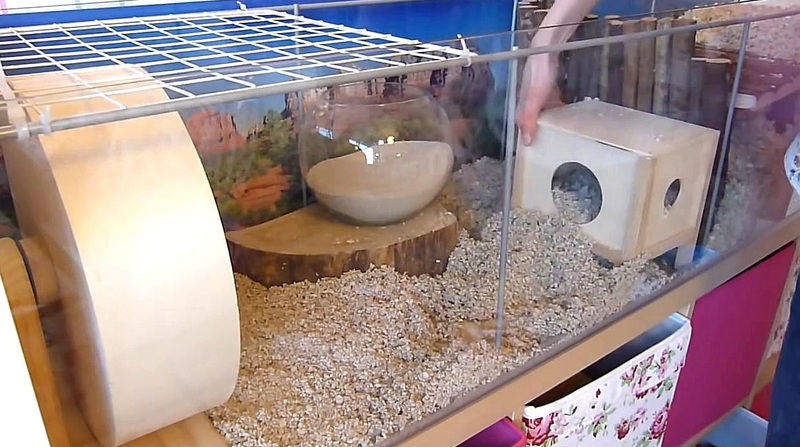 For a smaller set up of a gerbilarium, you can easily be able to open the small side door and interact easily with your gerbil. It also becomes easy to train the gerbil to run to you when you when you open the door and call its name. Once you realize that the gerbil is no longer scared of you and is happy to be picked up, you can then move them to a larger space where they will be having plenty of space to play and you will still be able to interact with them. Also, there exists diverse types of gerbilarium. There are those made from glass or plastics but it depends on the one that you want. You can always make a cage of your own for your gerbil but you have to consider their needs before making one. You can choose the base that you want and add a topper for maximum efficiency. The topper can be any type of a cage, you just have to look for one from the online stores. The essence of the topper is to keep away the wheels, water bottles and litter boxes from being messed and mixed together or even buried by the highly active gerbil. It is advisable to avoid tubes all together especially when on the outside. However, you can use them as the way to the topper or inside the beddings if this is the only way. The best gerbil cage is the one that provides lots of activities and enrichment. Having one that lies on top of a dep tank lined with the thick substrate is the best. With several tubes and tunnels that do not injure or get your gerbil trapped, you can always keep your animal busy and happy. Just make sure that you have a topper where you can place things like wheels and water bottles to avoid them being kicked around or even being buried.